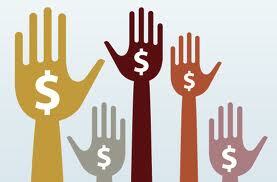 Crowdfunding………the role of collective in achieving rights to wrongs? Crowdfunding is an interesting word and its becoming more common to hear in news reports or current affairs stories on mainstream TV. Its not a new thing, from what I can see it has been around since 2006, but I guess it takes a few years for new ways of doing to take off or become commonplace.Have I ever crowd-funded? No. It doesn’t mean that I don’t like the idea or support it, I guess its just I haven’t become involved. My interest in this was sparked by a recent story I came across on TV. A young girl who had survived an horrific accident (she had lost both legs after being run over by a train) was describing her dream to purchase prosthetic running legs so that she could train to be an athlete. A nice heart warming story and I was thinking, well a corporation or someone will be watching this story and she’ll surely achieve her dream. But the story ended with the statement that she was going to see crowd funding to purchase her new legs. I was quite startled, I’m not sure why, but I was – crowd funding?? I had thought this was the domain of the third-world seeking support from socially minded first-world individuals. So a bit of searching and investigating online and I was to discover how wrong I was – crowd funding is a massive online pursuit and there are so many different types (who knew?). Charity funding is probably the one most recognizable, the collective effort of individuals to help charitable cases, but I discovered there was also litigation crowd funding. Individuals can invest in the litigation pursuits of those who are in need. 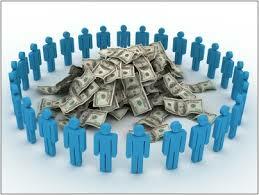 This got me thinking, what is the motivation behind crowd funding? what is it that makes you put your money out there for someone, someone you don’t know or are likely to ever meet? I think in this digital world of continual connectivity, we can push out messages and information quickly. We receive so much information we cannot process all of it, but every now and then it might touch us personally, or we need to touch it personally. Could this be behind crowd funding? Perhaps. I think inherently many of us want to be part of something, we need to belong, we need to participate. Crowd funding enables us to participate in a communal social initiative – pretty powerful, very addictive I would imagine. I think seeing your money make a difference to someone else would be motivation enough. So how do you do this? How do you participate? 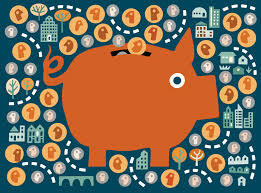 Google crowd funding like i did, there are many companies out there listing I liked Fundly and SeedInvest.